The portal vein is currently the site of choice for clinical islet transplantation, even though it is far from being an ideal site. Low oxygen tension and the induction of an inflammatory response impair islet implantation and lead to significant early loss. 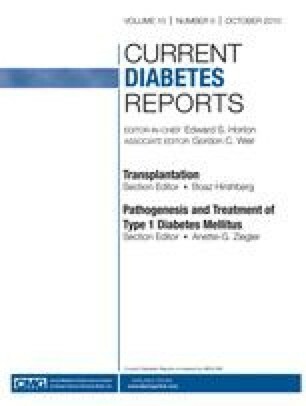 Even if enough islets survive the early implantation period to render insulin independence, few patients maintain it. Therefore, the search for an ideal site for islet transplantation continues. Experimentally, islets have been transplanted into the portal vein, kidney subcapsule, spleen, pancreas, peritoneum, omentum, gastrointestinal wall, testis, thymus, bone marrow, anterior chamber of the eye, cerebral ventricles, and subcutaneous and intramuscular spaces. Some of these sites are suitable for gathering scientific data, whereas others have potential clinical application. Varying degrees of success have been reported with the use of all these transplant sites in an experimental setting. However, the optimal transplant site remains to be finally established.